M&M Motorcycles Cambridge, Cambridgeshire, Scooter Servicing, Scooter MOT's, Scooter Tyres, Scooter Parts. 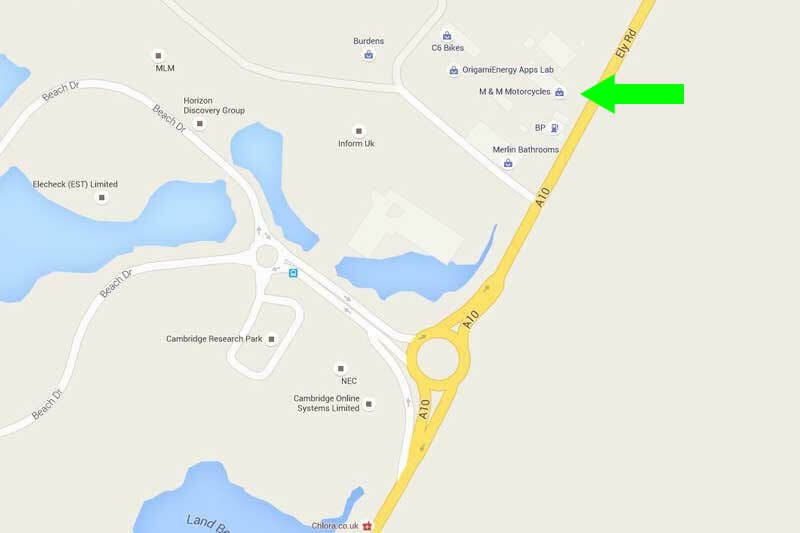 We're behind the BP Petrol Station, between 2 roundabouts on the A10 between Waterbeach and Chittering. Here's a larger image with M&M towards the top right.